Capcom's fighting game now out on Sony's handheld. 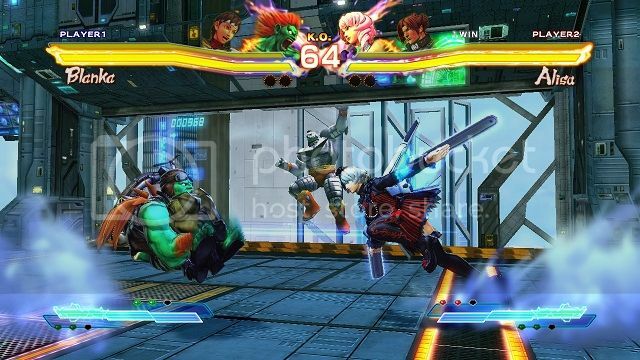 So, has anyone really been wanting the ability to play Street Fighter X Tekken on the go? If you own a PS Vita, you now have that option. About a year ago, Daisy and I had the opportunity to preview the game at one of Capcom's Fight Club events, where we even got to meet Seth Killian. 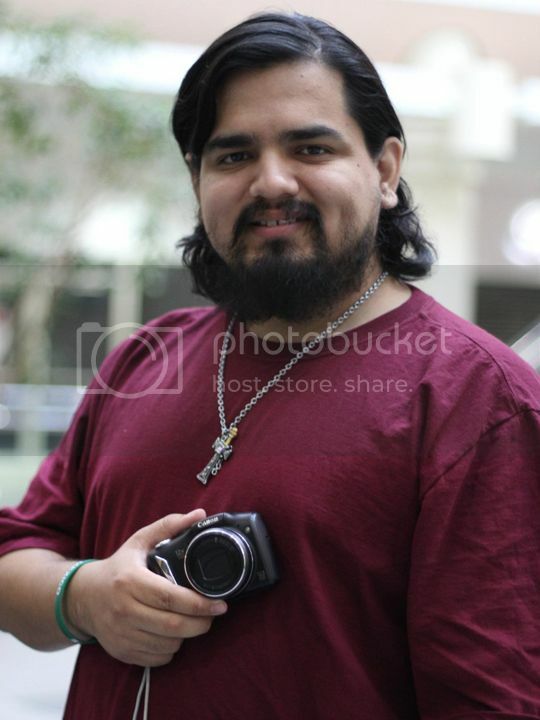 If you're interested, you can still check out our event recap with photos as well as our video coverage from that night. Moving on now, the game was released earlier this year for the Playstation 3 and Xbox 360 to an excited fanbase, but we haven't heard too much about it since. I gather from discussions with other gamers that a lot of people were disappointed with the game once they got their hands on it. As for Sony's Vita, it is certainly an impressive device, but it's library doesn't have the allure of the 3DS's. Still, Capcom has seen fit to put their fighter on the system. 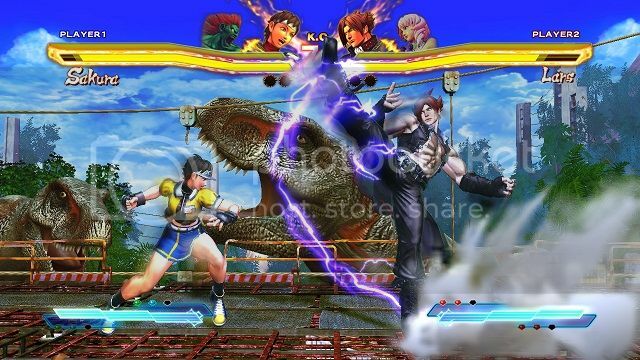 Is anyone exited to play Street Fighter X Tekken on the Vita? Enjoy some screenshots below, followed by Capcom's press release. Capcom, a leading worldwide developer and publisher of video games, is pleased to confirm that Street Fighter® X Tekken® on the PlayStation®Vita handheld entertainment system is now available in North America. Street Fighter X Tekken on the PlayStation Vita expands on the action-packed console experience, delivering competitive co-op fun that players of all skill levels can enjoy. With the full roster of 55 playable characters and new exclusive features, Street Fighter X Tekken on the PlayStation Vita is packed with tons of content and boasts one of the most robust character line-ups in fighting game history. Playing at home or on the streets, PlayStation Vita and PlayStation®3 computer entertainment system Cross-Play lets Street Fighter X Tekken players compete anytime, anywhere, against anyone… either locally, with 3G or via Wi-Fi. 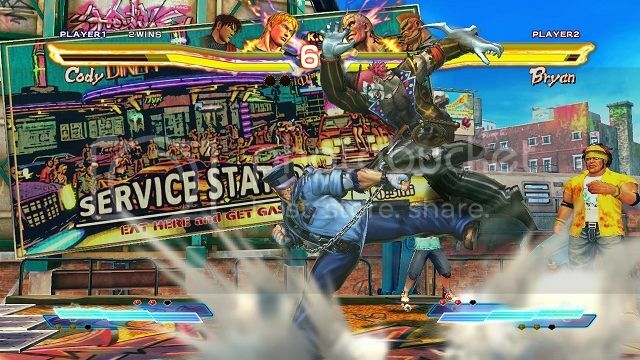 Players can super combo their Street Fighter X Tekken experience by taking advantage of the numerous PlayStation Vita exclusive features including augmented reality, front and rear touch panel controls, near functionality, KO monument, ad-hoc fight request, and a gallery mode. 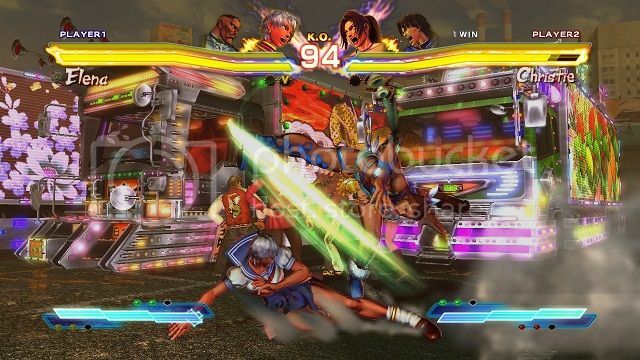 Additionally, an all-new game mode called Burst Kumite will let players test their skills and strategies against a barrage of endless CPU-controlled opponents. 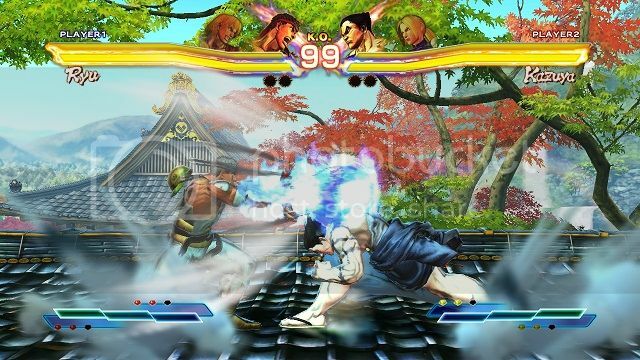 For those who purchase the PlayStation Vita version of Street Fighter X Tekken, the first run of all retail copies will come with a free download code that will redeem 12 additional characters on the PS3™ and will give PS Vita players free alternate costumes for the core roster of 38 characters. For those who purchase the digital version of Street Fighter X Tekken, this content will be synced with the PS3 version automatically and is downloadable without a redemption code. All DLC purchased on the PS3 version can be used on the PS Vita version, and vice versa. Additionally, edited and customized data on the PS Vita version can be transferred between both the PS3 version and PS Vita version as well. 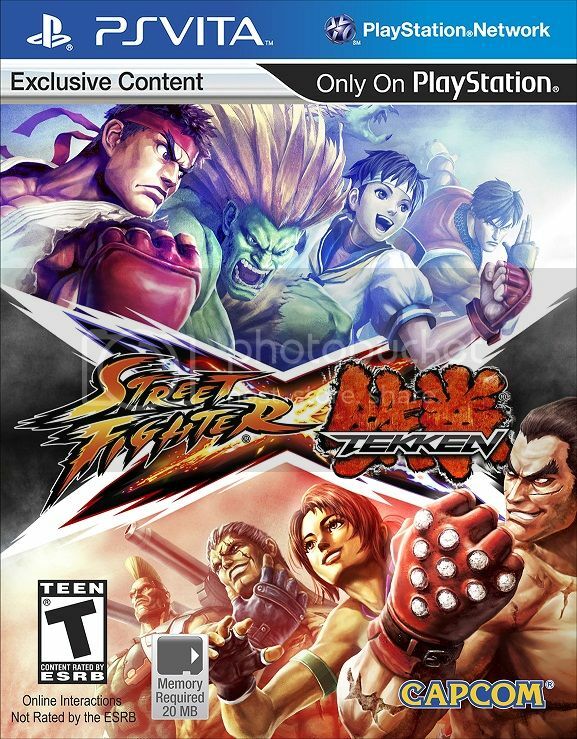 Street Fighter X Tekken for the PlayStation Vita is rated T for Teen by the ESRB and carries an MSRP of $39.99. The game can be purchased digitally and in stores beginning today in North America and will be available in the European territories beginning on October 26, 2012.